The UCC28070 is an advanced power factor correction (PFC) device that integrates two pulse-width modulators (PWMs) operating 180° out of phase. 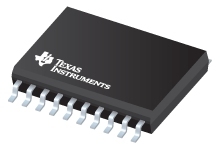 This interleaved PWM operation generates substantial reduction in the input and output ripple currents, allowing the conducted-EMI filtering to become easier and less expensive. A significantly improved multiplier design provides a shared current reference to two independent current amplifiers that ensures matched average-current mode control in both PWM outputs while maintaining a stable, low-distortion, sinusoidal input-line current. The UCC28070 device contains multiple innovations including current synthesis and quantized voltage feed-forward to promote performance enhancements in PF, efficiency, THD, and transient response. Features including frequency dithering, clock synchronization, and slew rate enhancement further expand the potential performance enhancements. The UCC28070 device also contains a variety of protection features including output-overvoltage detection, programmable peak-current limit, undervoltage lockout, and open-loop protection.